Hunt the wind, be patient, hunt muzzleloader week if you can, hunt from Christmas to close of season over feed. This is my experience over the last 3 years in push co. The bucks will come to the feeders if they have been there a while. If you can put out minerals our deer hammer the mineral all summer then back on it around Christmas. Rifle season gets crazy up there after the first week the deer go away for a few weeks just disappear, that's when I see them bachelor back up and start hitting feed around Christmas. Someone should bronze this and when in doubt, refer back to it. This is 100% spot on my experience hunting this area since 2012, minus the feeders. We hand feed in hog paneled feed pens. I’ll also say, in my experience, all those pretty pictures you get of those bucks all summer long, say goodbye early because they disappear a few days before opening day EVERY YEAR! It’s like clockwork, they are still in summer feeding patterns leading right up to opening day and then BAM, they’re gone like a fart in the wind. Exactly. I’d be hitting it hard the first week of the season and then again in ML season. You never know who may show up. First week can be good, especially if the bucks are still grouped up or on somewhat of a feeding pattern. We didnt get a chance to set up feeders last year due to a last minute move, but we do have 13 throwing buck ration 16% this year and prob 20 mineral sites. It was a rough go our first year on the place but did learn alot, so hopefully with all the feed and a little knowledge i can get lucky. Rice bran is another attractant if you dont have to fight the cattle off of it. We put out cameras on the feeders last weekend so should have some pictures in a month or so. It needs to cool down! Need to hang some stands! Anybody up here have access to a Dozer or know anyone who is in the business? I have a days work of Dozer work needed just outside of RedOak. How quick are you needing it done? No huge hurry. 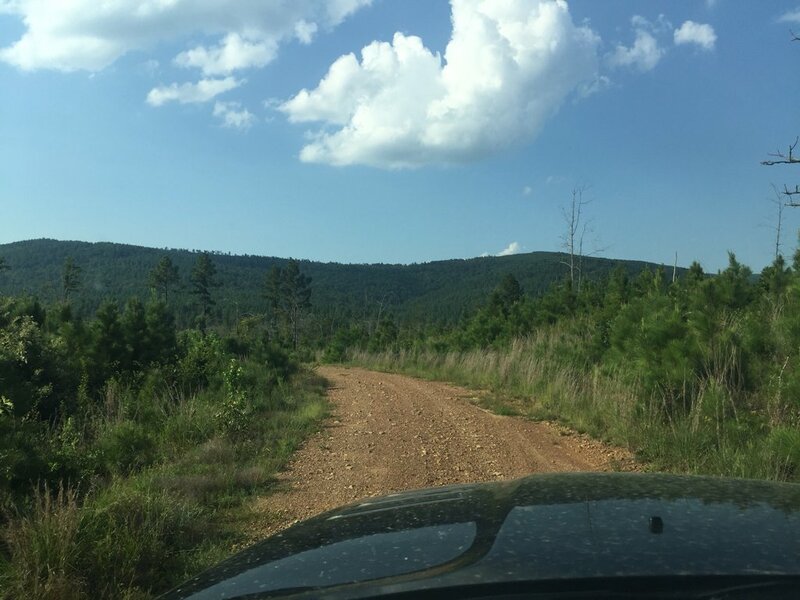 I have 10 acres with a new cabin build. Cabin sits about 300 Feet from county road. I cut down trees cleared road with a tractor however I need the road worked better as well as some other clearing to give me better access. With a good Dozer D6 or Front Loader should take a man who knows what he’s doing about 6 hours. In for this thread. 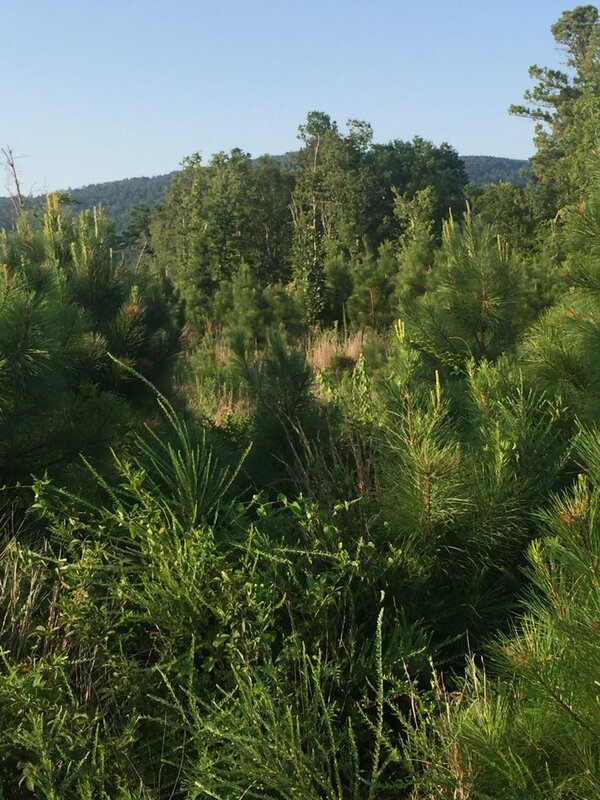 We just acquired a small lease in Pushmataha Co. Gonna be just the family to hang out at. Looks like mostly 15yr Pine with a few large trees left. Across the road from the Little River. 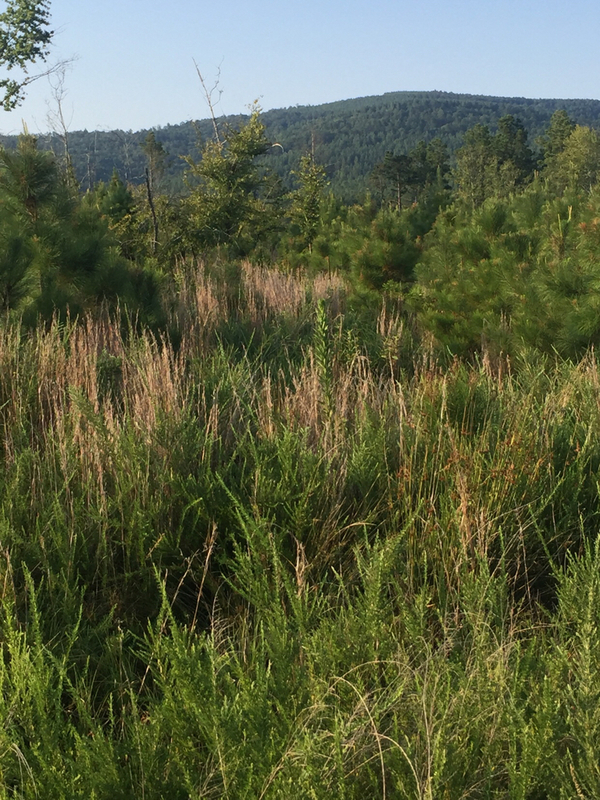 Should be some good bedding and open areas to hunt. Every one around still has big timber. Anxious to get up and put some cameras and stands out. Sounds promising. Should be fun. In for the updates. part of our place is bordered by the little river. Great to hear someone’s in the neighborhood. How is it out that way decent? We are a ways East of Hoshoba. North side of the highway. glad to see this thread. im in! just put my cams out at my TX places yesterday and will likely be heading to Push in a week or two in order to do the same. Also need to work on my camper since apparently it has a leak. Did you mean Nashoba here? I ask because we are East of Nashoba just North of Little River. Yes I did mean Nashoba. Then howdy neighbor. Welcome. About how many miles East of the School? That’s kool we got some folks close by. I will post up some pics next week or so after I get up there and see what I got us into here. Should be kool. Forgot to mention we are about 6 miles East of the school. We are about twice that far from the school. we are about 3-4 miles east of the school and on south side of road. At least that is where camp is. river runs through property we camp on. Other part of lease is a little further south of the highway right where the river turns south and forms the western border to our place there. Awesome. Looks like we got a few good neighbors at least. We should get together and cook a hog or something soon up there. Will be goin up at least 1 weekend a month till I get stands/camp setup the way we want. plenty of hogs to be had up there. They disappeared off our lease for awhile but they are back now and need thinned out. Our land owner said he never saw them three years ago but they are trying to take a hold of the place now. Good, I think. I was curious how thick they were in there in there. Did plenty of O&G work around Ardmore/McAlester and everywhere in between and never saw a whole bunch of them. Just a few groups here and there back in the 2000’s. The deer are wise and crafty in that part of the country. 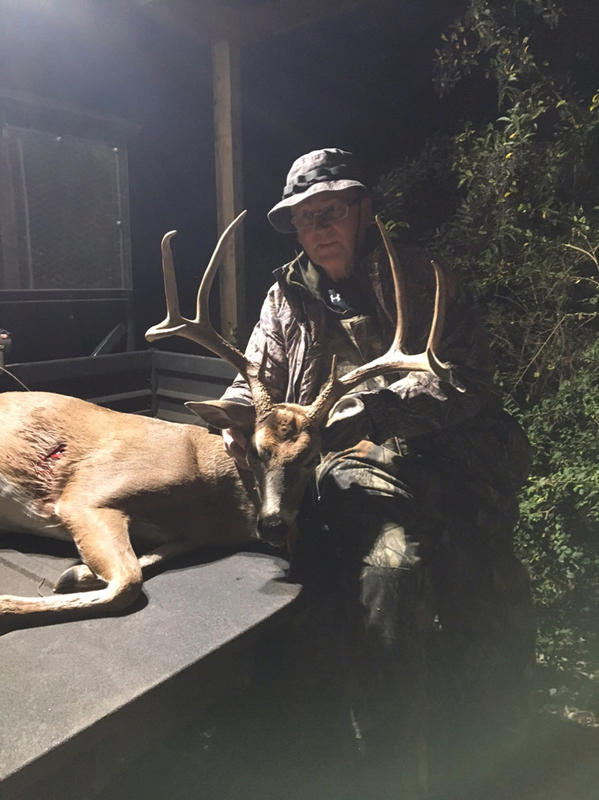 Been through many a season where I wondered why in the world I was still bowhunting.....then BOOM, a big old, nasty, swolle up beast materializes from the thick tangle, within bow range and I am reminded that the Kiamichi mountain don’t give up their trophy deer without a fight. If a man will put in the work to scout and hunt smart he can have success if things come together. I wrote this a few years ago and will repost. I've got a sickness and the only antidote can be found in the rugged, rock and brush choked valleys of the Kiamichis, delivered by a swollen, stinking, testosterone filled beast so wiley and elusive that his cedar and pine polished antlers have yet to be spied by human eyes. Like a fever this disease assaults me in the night as my thoughts and dreams turn to flashes of a brown coat and faint glimpses of white through the shadows. The alarm's unrelenting whine plucks the ghostly silhouette and misty calm from me as I fumble to a semi conscious state. My blurry gaze clears and once again I stand at the familiar corner of business need and domestic responsibility. The clock and calendar, defeated enemies of a recurring nine-month's war are resurrected once again. Until I am released from this wallless prison the beast of my dreams shall live a few weeks more.....completely oblivious to the impending threat from above that awaits. Opening weekend feels like a lifetime away. Last edited by Booner Sooner; 07-28-2018 at 09:50 AM. That’s a good read bro. Are y’all each buying new license/tags for each season (archery,gun,muzzleloader) as a non-resident or y’all just buying an archery tag and using it all year for all 3 seasons? I read somewhere I think you can do that. If that’s not correct please someone me. Thanks. Have a lifetime hunting and fishing in OK from the 90’s. Will have to defer to others on that. Since muzzleloader and rifle are so short we just bow hunt during for all the seasons off the archery license. No need to buy the other two. May buy a bear license this year, still undecided but had a bear last year I could have shot on opening day. My experience has been that some of the best hunting has been from muzzle loader to first week of November. Not super scientific but I’ve seen the most chasing activity then. 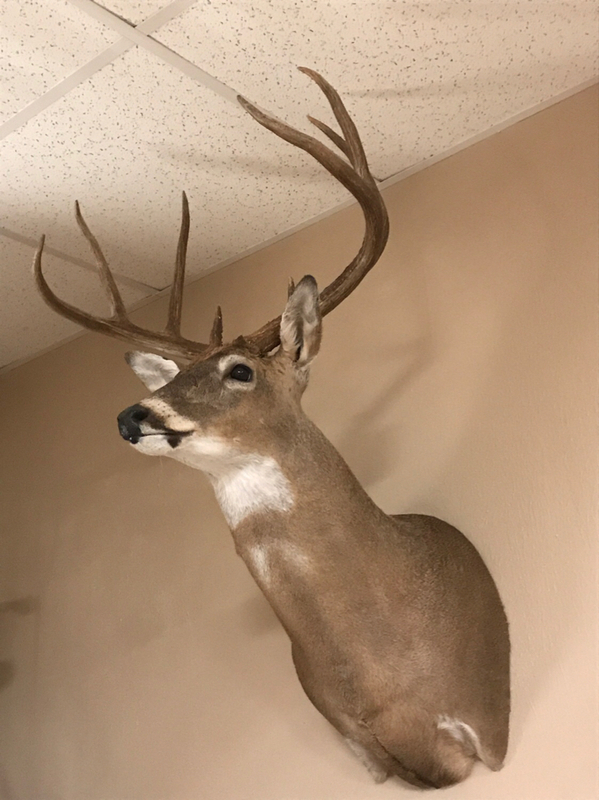 one guy on our place has the lifetime but the rest of us just buy the archery and only hunt with it during all the seasons. I can't afford to buy the rifle, muzzleloader, and archery. I just wait till after deer season(or before), and use the AR to hog hunt. No need for a licence to hog hunt. You can even rifle hunt hog during deer season if you get a special tag or permit from the game warden. The hogs have come and gone on our place. When the bears moved in it seemed like the hog sign dropped to near zero. This might have been coincidence. In 20+ years of hunting this place I’ve never seen a hog while on stand and have only ran across them while walking once. That said, I don’t hunt feeders on this place and have only begun using them in the last few years with my kids. Between the hogs and bears I really don’t know which I’d take if I had to choose one. Don’t like either. This is when i plan to focus my main hunting time, witch i think is the most chasing. It just gets crazy with people up there for the rifle season and kind of shuts the deer down seems like to me. But the late season hunting feed from Christmas until end of season should be good also after the bucks bachelor back up. It is going to be a little different for me this year. We will be splitting time between Nashoba and our new place near Quinton this year. About to start running feeders up there to try to get my 10 year old his first deer. Thanks for the help. Good info. I’m excited to get up there and check it out, start putting some time in. This is the guy that was running the river just East of your place a few years back. Aged out at six and a half years. Having a set close to the river could pay off. 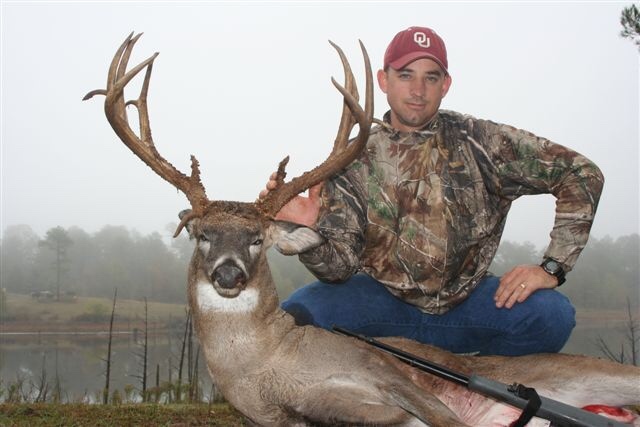 Beautiful buck taken by a very dedicated hunter This is why we hunt Oklahoma gents! If this keeps up I may have to sweat talk the wife into budgeting for a bear tag if MWW982 doesn’t get one! When I watch this and see him pause and look off camera to the right I get the feeling that he had three redneck bear buddies egging him on and giving pointers about getting it to topple. Went up and looked at our little spot. Gonna have to put some work. Found one spot that could have a set-up. The rest of it is super thick 15yr old clear cut overgrowth. The road cutting threw it is the best place to hunt but the rules say no-no on that (I think). Also I got a huge lease behind us that is gonna be using our road going in and out. Plenty of large tracks in 3 spots crossing and walking up and down the road. Gonna have to get creative with this one. I can see a monster hanging around in that thick crap not moving around a lot. I’m looking for a place up there or in push co or Bryan co but all I can find is subleased land seem way higher than what a lot of people I know are paying..
Wonder if these 2 were cheering him on? 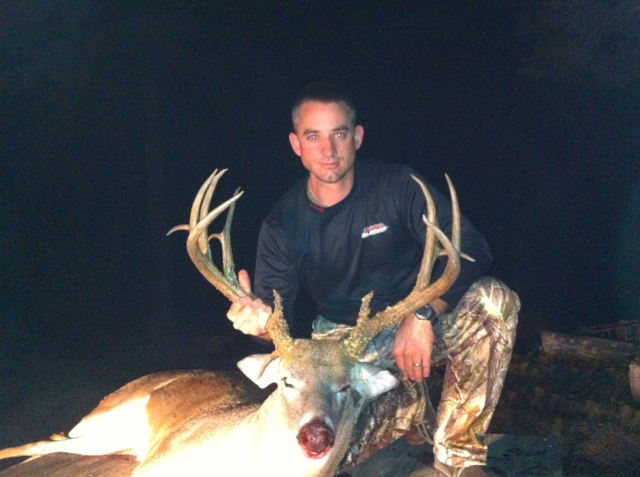 Hunt In: Cottle Co., Antlers, OK., Salem, Mo. Bears wiped out 2,400 lbs of corn in a couple months from our giant gravity feeder. They destroyed a barrel feeder and timer near by that had been empty. I don’t think we will feed early in the year again. 151" 8 My FIL killed up there last year. Yep. Gotta be what happened. That bear looked too clean cut to be such a vandal. Must have been bear buddy peer pressure. Those two look like a bad influence.